Reading has an old factory, which was an old Kodak processing factory. It took people’s films and turned them in to memories. 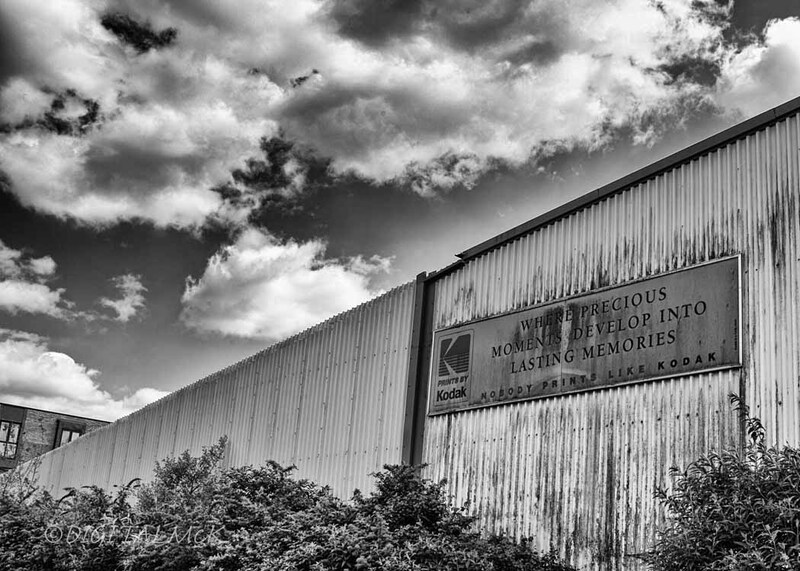 With the growth of digital imaging and the collapse of film use amongst the general public the factory closed and the building is now derelict, awaiting demolition and conversion in to flats. In the meantime it is a picturesque site of semi collapse. The roof is off, the false ceilings have collapsed, the floor is strewn with drug taking paraphernalia and the site is open to the sky. As far as I could see the site is semi inhabited and it needs approaching with care, however it is beautiful in its dereliction.